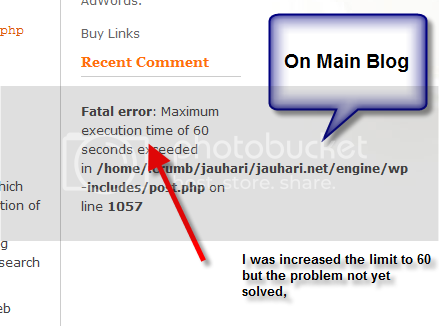 And after change to 60, this make my WordPress more slowly when access via browser and still have with some error just time increase from the default 30 to 60, especially some page that need load post.php like comments, related entries plugins, akismet admin etc. What’s wrong. Please help me. I believe I read somewhere that the DreamHost servers have some issues with the Wordpress comment system, in that it forces a very high usage on the server which might account for the problem you are seeing. But I am not sure about this… A quick search around the Wordpress Support Forums might yield a better answer.